We love a good curry and after a hard day working up an appetite sorting out the garden it made sense that we'd earnt a nice reward on Saturday. After working up such an appetite a curry was really the only option. 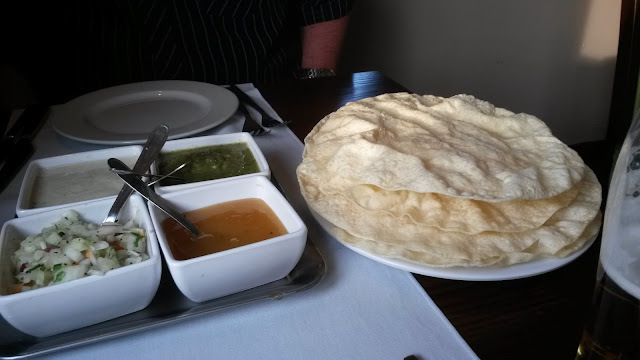 One of our favourite local curry houses is the Banyan Tree on Redhill Island on the A60 driving out of Arnold.It used to be a Little Chef a long time ago. 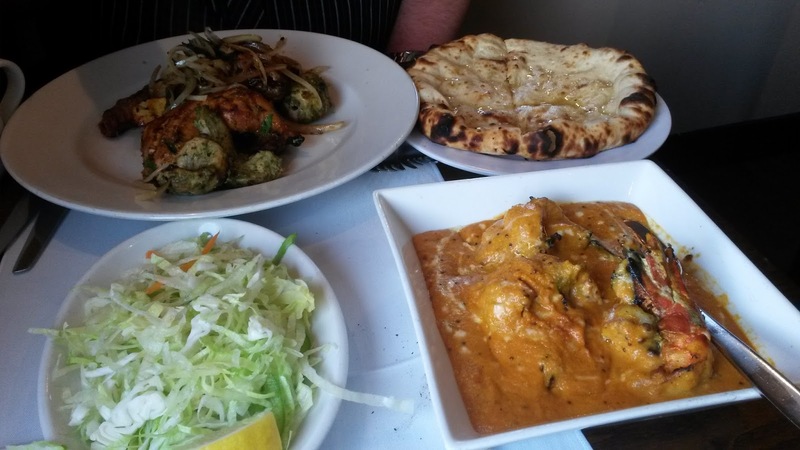 With a Bangladeshi influence and a range of curries that we either rarely seen elsewhere or have never ever seen on a menu we're always confident we'll be able to have something different. For our main meals we opted for the Special Mixed Grill which is a fantastic array of various different meats served sizzling over a bed of onions and the Malabari Prawn curry featuring four huge freshwater prawns the size of my clenched fist. The Malabari Prawn curry at Bantan Tree was a delight. With mustard and curry leaves in a thick sauce the delicacy of the sauce worked well with the beautiful prawns.